Our clients come from all walks of life and from many different industries. From doctors offices, to law firms, to dentists, our clients have one thing in common: they love to communicate with their customers through SMS Reminders. Stop losing out on missed client appointments. High quality is only achievable when a well-organized team of experienced professionals is in place. We carefully select only the most talented people. 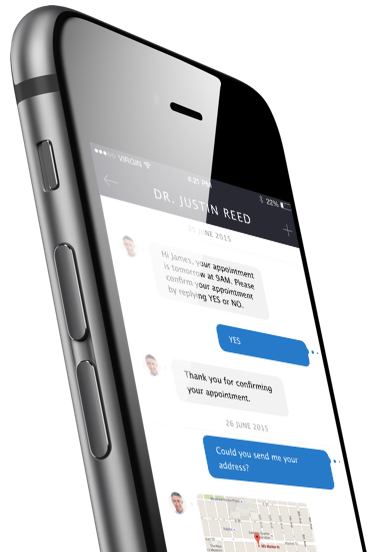 SMS Reminders was started in 2015 and exists to leverage SMS/Text Messaging on behalf of our small to medium size clients, in order to help them increase communication with their clients and stop patient/clients appointment no show.